Ducati team manager Davide Tardozzi feels Jorge Lorenzo will "lose out" when he joins rival manufacturer Honda next year. After a disappointing first season at Ducati last year and a similarly slow start to the 2018 campaign, the Italian manufacturer's bosses lost patience with Lorenzo and decided to replace him with Danilo Petrucci for 2019. That choice opened the door for Honda to sign the Spaniard and pair him with Marc Marquez for next season. 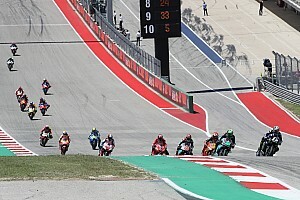 Since Ducati made its decision, Lorenzo has won three races, including the Austrian Grand Prix last weekend, and has become the top Ducati rider in the standings, lying third behind Marquez and Valentino Rossi. Tardozzi feels both sides made mistakes during contract negotiations and that Lorenzo will struggle at Honda, because Ducati was a team that gave him "what he wants". "Marc certainly thinks he's gaining from this. 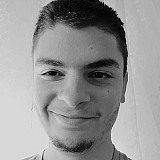 Whether or not he is right, I don't know," Tardozzi told Italian newspaper La Gazzetta dello Sport. "What I can say however is that Jorge will lose out for sure, because here he has found a family that follows him and a team that gives him what he wants. 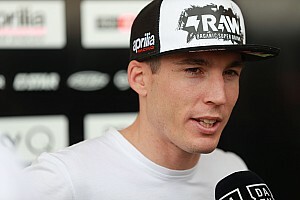 "In Honda he will have to start all over again and adapt more quickly than he did with Ducati. "We've all made mistakes and we'll all lose out. Who gains something is Honda. For sure we will be keeping things in mind for the future, we are not stupid." Tardozzi also told Spanish radio station Cadena SER that it is a "great disappointment" to see Lorenzo hit such form knowing he will join Honda next year. "Jorge has done an incredible race [in Austria], I think he now knows the Ducati," he said. "He listens to the engineers and can now ride it as he wants, braking very late. "I am convinced he will continue at this level in the next races. 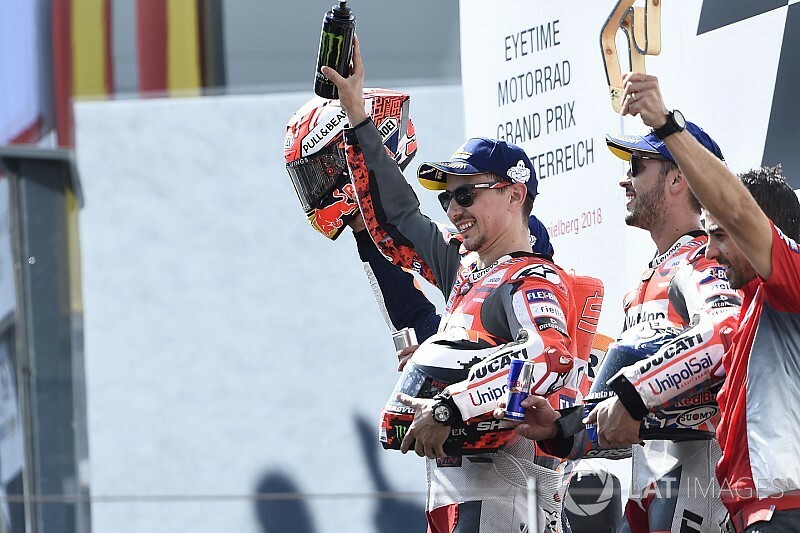 It will be a great disappointment to say goodbye to Lorenzo after these successes. "We have given Honda a great rider, but he will remain a friend forever." As reported by Motorsport.com, it was confirmed in Austria that Lorenzo will be allowed to test with Honda in the post-season Valencia and Jerez tests in November. 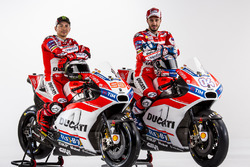 "It's good news for my interests, of course, and it shows how fair [Ducati] are," said Lorenzo, who was barred from riding for Ducati at Jerez by previous employer Yamaha in 2016. "I am very happy." Petrucci: Last 10 laps in Austria were a "nightmare"